Steel Wul: "I'll meet you at Piggies after 5th period"
"I'll meet you at Piggies after 5th period"
Your blog took me back. Battin fighting with drivers. Big Ed and his gigantic gears. 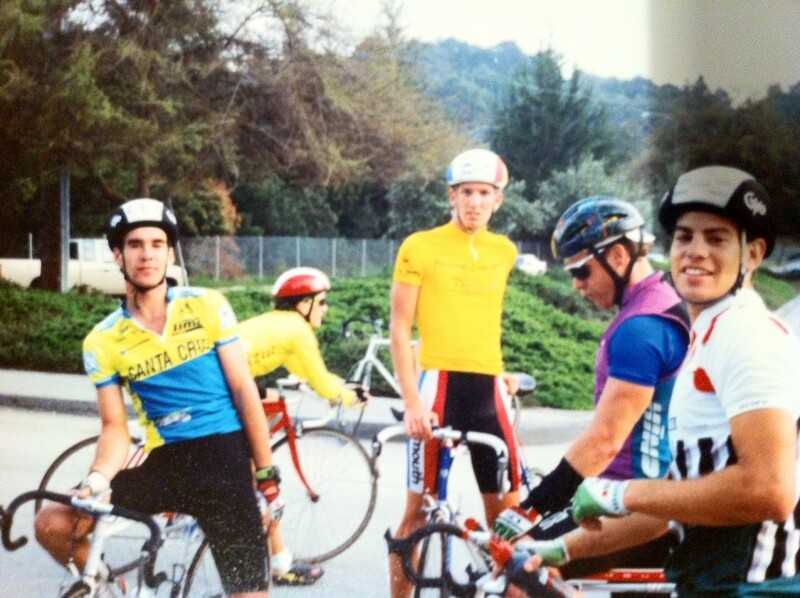 Shane K when he showed up for his first group ride kind of chubby, then a beast later. Pregnant Katrin Tobin riding to work at Giro. Breaking my collarbone on a t,th ride and piling into Chris Chaput's truck with the other casualties to avoid paying for the ambulance that was on it's way. Starting every disrict tt behind larsen because of the damn alphabet. Hunter Allen going to Europe and being beaten up by his host family. Pat Heaney and his bible. Erbe's son coming to watch me race in Capitola and crashing right in front of him and traumatizing him enough that he cried every time he saw me for about a year. Housesitting for Big Ed and his dog attacking me while they were backpacking in Yosemite and lying about his address so they wouldn't put his dog to sleep before he got back. Pat Connelly and I getting ready for a ride in Nisene right before the 89 quake. Derek was employee # 2 or # 3 at Speedplay and this photo must have been taken just after Pat rode his bike down from Seattle. He was an electrician and said that he and his buddy started to drink coffee because it was free at most "cafes". Brent was pre UC Davis at Cabrillo and Shaney Shane was post skate life and pre aerobisourus-rex. 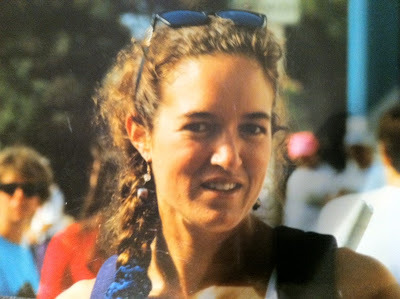 Kim was the fastest female in California for many years. Actually - I think that's Piet Canin between Pat and Brent.